We picked out this Yacht for a reason, actually many reasons. 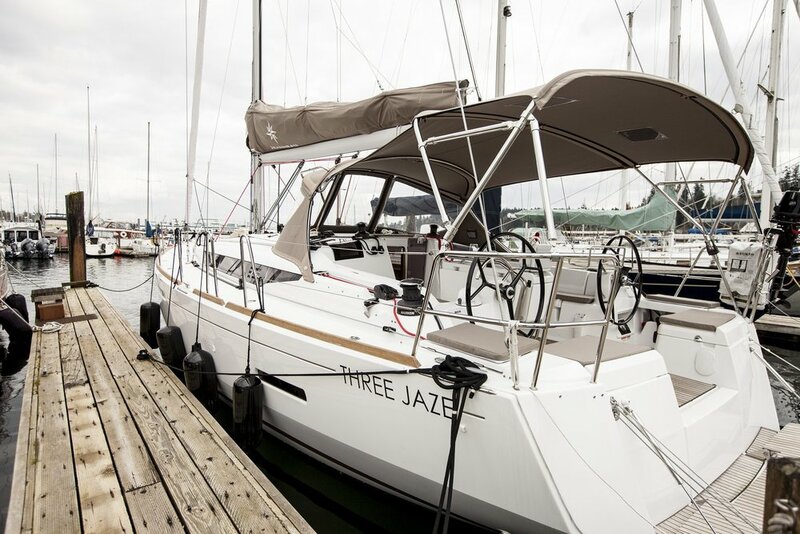 Our new 2016 Jeanneau 419 is named after her owners Janaea and John, and of course she is a Jeanneau. Hence Three Jaze. We also have a dog named Jessie, but that would be crazy. Designed by Philippe Briand, she offers a refined style, with elegant lines and a bright interior. Made in North Carolina, USA. 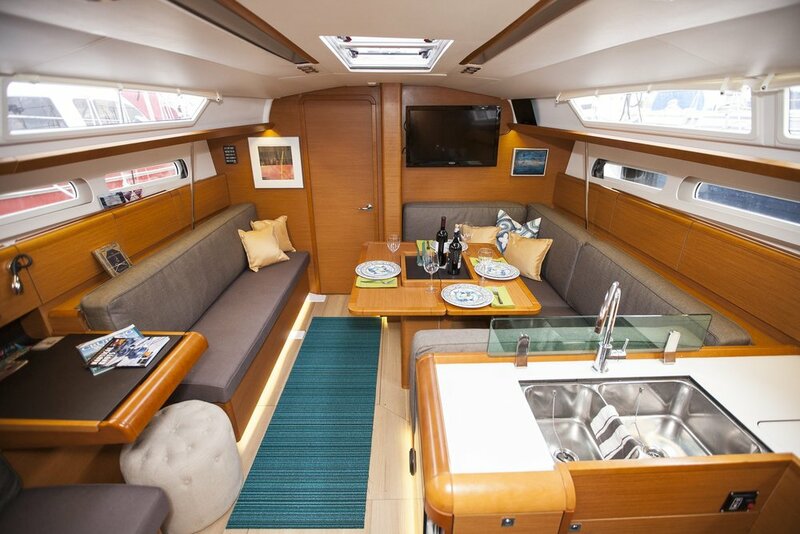 The Jeanneau 419 is meant to be sailed by a small crew. It incorporates all the innovations and key features of modern day sailing. It has been designed to be fast and easy to handle. With a modern hull form, particularly the hard chine design, make the boat want to sail more flat bottomed with much less “leaning” over. Her light weight and fin keel allow her to sail effortlessly in the lightest of air, typical of the Pacific Northwest. She can really fly! And being a new boat all of her electronics are state of the art. This is great for ultimate comfort and safety. Another most remarkable feature of Three Jaze is the drop-down swim platform, which not only makes getting from dock to vessel a breeze but also creates a new space to enjoy under anchor. No climbing over lines to board. Anyone (and our dogs) can easily come aboard. Once under way, the step comes up and provides great security in the cockpit. With over 13 feet of beam, the cockpit is very comfortable and the twin helm (steering wheels) allows our Captain to helm from several positions on both sides! 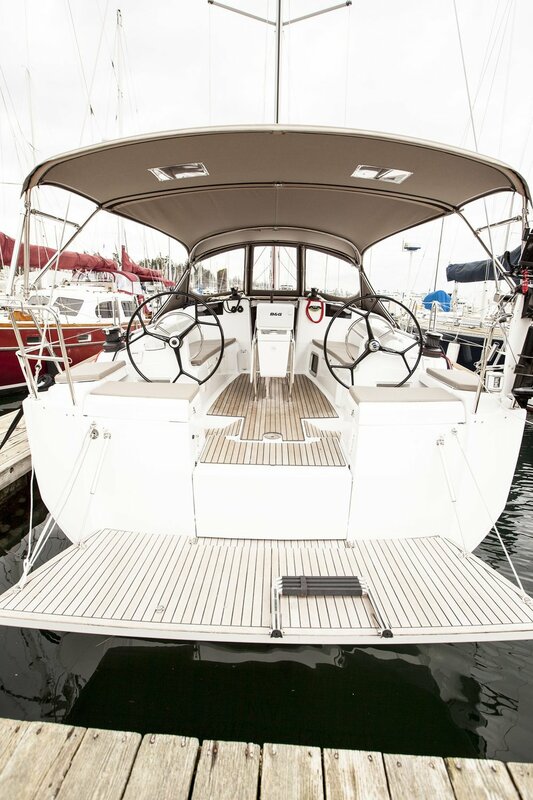 You comfortably stretch out and enjoy your sail with plenty of room. Large dining tables in the cockpit makes enjoying your beverages and meal up topside if you prefer, or in the beautiful and spacious salon area below. Duel helms and all sailing lines come aft which means the Captain may comfortably handle the boat without disturbing guests at all. Multi station sound system to play your pick of music if you wish. Modern head with electric toilet. You will really appreciate this upgrade. Our boat is constructed with modern chine lines in the hull. This means that when the boat is “heeling” (leaning over) it will only go approximately 15%. The lines keep it more upright for a fast and comfortable sail. Heated, with a full enclosure, we can sail all year and stay cozy and warm. Summertime brings sun and warmth for a sail like no other. And down below is our very large salon for relaxing whenever it suits the mood. One has to experience what a suberbly designed boat like this can do! She is the ultimate in ease, comfort and sailing pleasure. 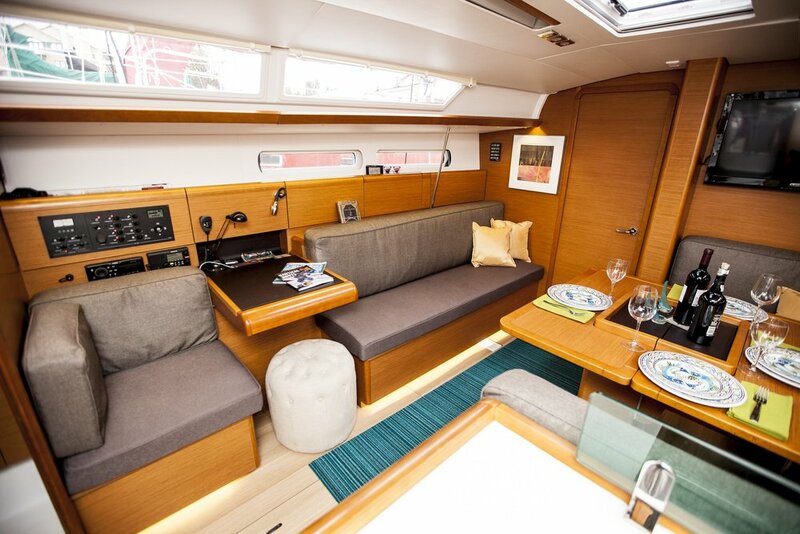 Her 13.1 beam cockpit means lots of room to dine and fully relax with the captain on deck. Down below boasts a very large salon and head (bathroom) all available to our guests complete with full galley (kitchen). So Relax and enjoy. Come sail from Bainbridge Island to Seattle, throughout Puget Sound and back. Experience the area like a local. We serve fresh, organic foods straight from the farm to our boat. Our wine selection contains a variety of vintages with grapes grown and harvested on the island. These paired together form an incomparable culinary experience just for you - while sailing into the sun, sunset or under a moon-lit starry night. We are able to work with food allergies and of course can provide gluten-free menus. For more information on various destinations click on the links below. For answers to common questions, download the FAQ. To learn what our customers say about us, read their Reviews.